Remember to leave a comment on as many of our blogs as you can to be in the running to win a $25 gift certificate from Heartfelt Creations. You have until midnight 3rd April 2015 to comment and the winner will be announced on 4th April 2015. I mixed up a whole lot of different HC collections and came up with this. I love the while space and those colors. What do you think? Over at Pretty Paper Studio blog! 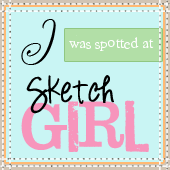 Just a little peek at what I shared on PPS blog yesterday! Do check out the PPS blog to see a photo tutorial on how I created this wall art.